ExpertPdf is an easy to use, yet powerful pdf library for .NET. 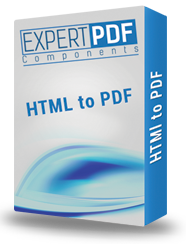 Besides the classic html to pdf conversion, ExpertPdf also offers a html to image converter. Besides the html to pdf converter, ExpertPdf also offers a powerful html to image converter, included in the same assembly. With ExpertPdf image converter you can convert from html to jpeg, html to png or html to bmp without any effort. The image converter, just like the pdf converter, supports all modern HTML5/CSS3 tags. Using ExpertPdf HTmlToImage Converter you can easily capture an url or html string as an image. You can generate a thumbnail image of an website page in .NET or capture a full size screenshot of the web page using C# or VB.NET. Convert HTML to Image (html to jpeg, html to png, html to bmp). Save generated image on disk or memory. Assemblies for .NET 2.0 and .NET 4.0 or above.